You are reading this article because you want a ecommerce website designed to sell your products or services online. You also want to be able to do this very quickly and as cheap as possible. Well im going to show you some of the ways this can be done. Just keep in mind though, what may look cheap initially can be costlier later on and other options which look costly right now can be cheaper in the long run. To get the cheapest ecommerce website, you need to look for companies which sell a hosting package thats cheap (possibly unlimited bandwidth/diskspace) for around $4-$10 / month that also has a ecommerce website software ready to go. There are many companies that offer such products, some are great others not so reliable. I guess you get what you pay for. I would select a company that’s been around for a while, check to see they have a portfolio and maybe even contact some of their clients in their portfolio to see how they are getting along with the company. Disadvantages : learning curve, you will need to put in the time to learn the system and configure to your own specifications, install modules for local shipping companies and banks etc. If its a company located in another country, usually times/ dates and currencies are set to their defaults. All of which will need to be reconfigured back to your local area. What would it take to make a website quickly. First lets define ‘Quickest’, If we said, Quickest would be to build and configure a ecommerce website within 1-2 days, that reasonably quite quick isnt it. And a tool to allow your products to be uploaded in several hours using some sort of bulk product uploading tool – that would be quick. But what about features or tools that are non existent in the ecommerce app that we’re using, like the above mentioned tool ‘bulk product uploader’. This may require extra time in programming or configuring which could end up costing time and money, so what may seem to be quick initially can actually turn out to take much longer to setup. Let me give you another example, oscommerce and Zencart are widely used ecommerce website solutions, and both are great out of the box. However both programs are built for people selling in the US or worldwide. Which means dates are back to front, currencies are in US dollars etc this needs to be configured to work for Australians selling only in Australia in Australian dollars. The shop will need to be re-configured to display times and dates right way round aswell, not month first then day and so on. So what may seem like initially is quick may turn out taking much longer to setup and design then anticipated. Get the I-net unlimited hosting offer, Unlimited bandwidth and unlimited disk space! You get cpanel/fantastico with the above hosting offer. Fantastico has several free and powerful ecommerce apps which can be installed in 1-2 steps which makes the whole process very quick. 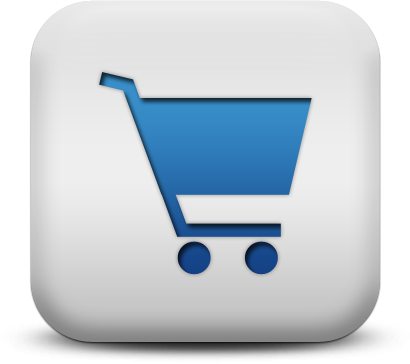 Some of the free carts included are oscommerce and Zencart plus a few others. Lately pre-designed ecommerce websites have been a hot seller. You could Buy and modify a premade ecommerce template and be up and running in days. There are literally hundreds of ecommerce templates on sites like Templatemonster and Themeforest. The advantages and disadvantages are similar to the above options. Ecommerce websites with free templates with hosting and emails, installed for you quickly and common modules and features built in for your country -little more expensive . I-net has a unique solution. I-net has partnered with Immerce.com.au, a provider of an ecommerce software which is made for Australians. Australian sellers and Buyers from Australia. Now if your business is in Australia and sells mainly to Australians this software is for you. I dont want to turn this article into a sales copy, but this is what we choose first for our custom designed requirements (you can read it on www.i-net.com.au/ecommerce-websites/ and on www.Immerce.com.au) . If your serious about selling online the option of getting your site custom designed or at least installed, modified, setup/configured with a bit of training is the best option which will save you a lot of headache. People that design ecommerce websites do it day in day out and are very quick at it. What may take you hours to do can take them minutes. So its worth paying someone to get things to speed while you concentrate on other parts of your business. Custom ecommerce designs were expensive once upon a time (+$20,000 was common), but these days you can get most of the required tools for couple dollars as pointed out above. Also think about the outlay of a bricks and mortar business, to setup a real shopfront your looking at no less than $50,000, thats at the bare minimum. Build your online business just like you would invest in a bricks and mortar business. Maybe you dont need to spend $50,000 but dont be afraid to spend $5000-$10,000. It would give you a good start in the competitive online business world.